We enable a sustainable adventure in Europe’s last wilderness. 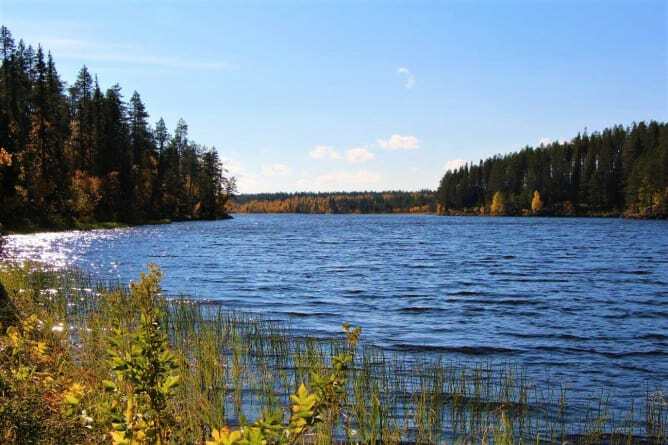 The summer in Lapland is rich in crystal-clear lakes and golden, endless days. Husky trekking, canoe tours and campfire cooking are waiting for children and teenagers in two different summer programs. With these programs, we want to create access to nature and animal-based experience. We want to teach sustainability to the littlest ones with the living example of the Finnish wilderness. They are accompanied by our loyal Huskyrudel. Educational leave in the wild. Also for children and young people from institutions that can no longer live in their families of origin. In addition, we offer temporary models for people suffering from burnout. The price for this stay is determined by the guest himself. Summer camps for children and young people free ..
…if we reach the more than the target sum. For each amount over 15000 CHF we will offer children to come to us for free in the first summer season. For this we build Nordic tepee tents for children and adolescents - modeled after the native Lavvu. These tents are used in winter for guests. This reduces the cost of the children’s summer programs to a necessary minimum. Thus, participation of the youngest is possible - regardless of the financial status. Unfortunately, this project ended unsuccessfully on 29/1/2019 14:04. Get a special "husky greeting" for your birthday. You get guaranteed entertainment. For every purchase of the "Live & Uncut", we will give 15 seconds UNFILTERED from our chaotic husky everyday life via Facebook & Instagram. Choose your favorite dog on our homepage and you will receive a lifelong sponsorship including personal "getting to know each other" in Switzerland (visit the kennel + walk with your dog). 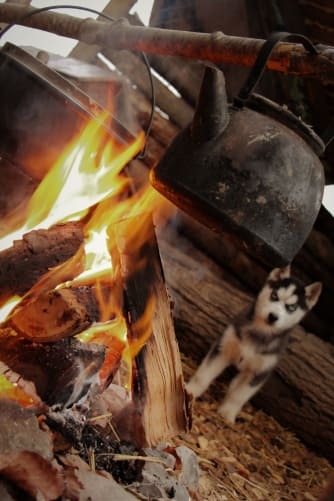 Support our project: "Huskies from animal welfare"
You and a person of your choice will receive an exclusive evening around the campfire with the dogs and exquisite outdoor kitchen. Name one of the two tipis according to your desired name. He is posted in the entrance area. Guideing in Europe's last wilderness. 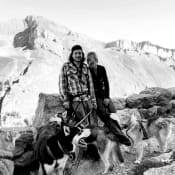 We - Markus & Josephin - will lead from 2019 a wilderness camp in Northern Finland for sustainable social projects. Focus: Animal and nature supported therapy with huskies. 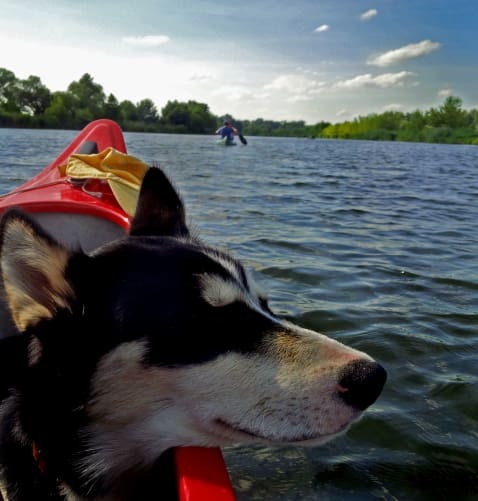 Canoe tours & husky trekking for children and adolescents, as well as support for people suffering from burnout.